Orthodox icon of the Council of Nicea, courtesy Wikimedia Commons. Do you affirm the historic and biblical teaching of the church that marriage is between one man and one woman? Do you agree that the practice of homosexuality is a sin? I think the reason why you think conservatives label you a progressive is in part because you either disagree on these points or you don’t answer at all. You mention Nicea and taking years to come to decisions on matters of core doctrine. We aren’t at Nicea, we are on the heels of 2000 plus years of ESTABLISHED doctrine and dogma which has only recently been declared by SOME as unfaithful. They have failed to win the biblical argument and have since turned to rhetoric, politics and appealing to emotion as a means to change the established teachings of the Church. There isn’t any more need to dialog about this, only to obey. “There isn’t any more need to dialog about this, only to obey.” To obey YOU, in other words. This is a pretty naked power play on your part, Chad. Your lack of interest in understanding the truths behind the other side’s position undermines your credibility. Ultimately you’re not going to be able to hold the church hostage, Chad. Jesus will knock you off your high horse just like he did to Saul on the way to Damascus. Obey me? Why would you say that? I’m interested in being obedient to scripture and I believe the UMC is doiing that with it’s current position (and the GC has increasingly affirmed the same) and I am willing to obey the teachings of the church. Unlike many of our bishops and pastors. As far as not being interested in understanding the truths of the other side, that’s simply false. I’m fully aware of the arguments from the other side and find them unconvincing, and, I’ll restate, so has the Church for 2000 years. The only people I see on a high horse are those who are in open rebellion to the church’s teaching on this matter. Read my post on heresy, Chad, if you want to understand where I’m coming from. Your strident posture does the opposite of building up the body of Christ. You’re still the same Chad today that you were in precept and when you were denying the existence of hell. You’ve just put on a different ideology. Well, I disagree with you. My posture is not strident, simply consistent with church teaching and scripture through the ages. “Strident” certainly refers to the progressive allies and their tactics in trying to broaden the church’s teaching on sexuality. And as far as taking the church hostage, they have done this repeatedly in GC and in the recent CT talks. I won’t respond to your personal attacks on me or my character. Part of why I don’t like giving a simple “yes” or “no” to those kinds of questions is that it cheapens a complex discussion. First of all this isn’t something that is remotely a chief piece of doctrine – this isn’t of the same order as the Trinity or Incarnation, which are our ultimate non-negotiables. Secondly, there are many who have said that, for instance, women’s ordination was or is clearly verboten and that male priesthood is ESTABLISHED doctrine. And yet, the dialogue went on and Wesleyans, against the tradition of the church, were some of the first to affirm women as preachers and ordained clergy. 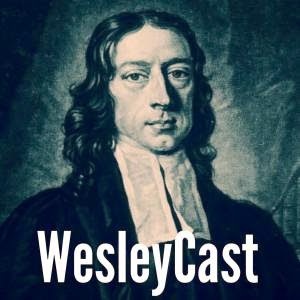 Conservatives clearly have the easier case to make biblically and historically, but conservatives in a tradition like ours that sometimes goes against the grain of established practice (think about Wesley’s irregular ordinations, for instance) should thus be aware that a simplistic appeal to “what we’ve always known” is not convincing either outside of or within our own community. But Drew, how do you expect to foster open dialog and honest communication when you tip toe around very simple questions like the one I asked? It is a very simple thing to say you either agree or disagree that the practice of homosexuality is sexual immorality. I affirm that it is sexual immorality, and as such, it’s a very big deal. Those who practice sexual immorality cannot inherit the kingdom of God, Scripture says. Nowhere does Scripture state that those who do not affirm the doctrine of the Trinity will not inherit the kingdom of God. If you want honest dialog I recommend you be honest and show your cards, as others have. Otherwise, why should you be trusted? I don’t need to give a simple answer to raise the level of the debate. One thing conservatives have not been able to answer is why this instance of sexual immorality is a deal breaker, but something like divorce (about which we have clear teaching about from the lips of Jesus) has room for some grace. The BOD says “incompatible with Christian teaching,” but it says the same thing about war. Under certain circumstances, we understand that war and divorce are sometimes regrettable necessities. I don’t think anyone would say that war and divorce do not represent serious breaks with God’s will – and yet the church sometimes affirms these are acceptable. Why not LGBT relationships, then? It’s not “raising the level of debate,” Drew, but being honest and forthright. Your refusal to do so makes this entire project of yours pointless as it will not endear you at all to those of us on the side you wish to convince to come to some “middle way.” Essentially, your non-answer IS an answer, and makes you all the more less trust-worthy. It’s obvious you support full-inclusion and yet you hope to bring traditionalists along to your POV while dismissing simple questions? The instance of sexual immorality – and being unrepentant of it – is a deal breaker because Scripture makes it such. I’ve never heard of any group within the UMC who CELEBRATES war OR divorce with pride parades. I’ve never heard of a group disrupting General Conference because they want to cheer on war efforts for the mere LOVE of war, or who wish to honor serial divorcees and commend them for seeking “love” at all costs, even if it means moving from partner to partner. This answer may not satisfy you but it is an answer. Can you demonstrate to me how you live into this “annoyance we are called” to and your high-value of dialog by answering my question? Do you affirm the church’s teaching that homosexuality is incompatible with Christian teaching? Chad, you clearly have strong, clear convictions, and have no problems voicing them, and I admire your articulation. But, from one Christian to another, and as someone deeply invested in this via media project which I believe is hopeful and healthy, I would offer you this: be humble. Your arrogance toward Drew here completely closes my ears (and perhaps others) to everything you’ve said. Humility is something that all of us need to practice, especially at this moment in the UMC. Strong conviction is one thing; pretension is another. Evan, thank you. But please don’t interpret my conviction for pretension, or my asking why a simple question cannot be answered as prideful arrogance. For people who are holding up dialog as the answer to our current crisis I would expect at the very least an answer to honest questions. Otherwise, what is the point? The question whether or not the practice of homosexuality is immoral or not is the issue which threatens to divide the church (and yes, there is the underlying root of scriptural authority, etc). So I think it’s rather pertinent that those who are leading a “way,” whether that be left, right, or middle, be upfront about where they stand on that issue. Am I to assume the “middle way” has little more to offer the Church than a desire to all just get alone and not talk about what we actually believe regarding the elephant in the room? Let me share with you where I stand (and I speak for myself, not anyone else involved in the Via Media project): I do not believe homosexuality is incompatible with Christian teaching. I’m not going to argue for that position here, because I think the reasoning behind that standpoint which I have found compelling, you have not. That’s ok. I will, however, obey and submit myself to the provisions and expectations elucidated in the Book of Discipline. I will not participate in the “Biblical Obedience” movement, nor do I support those who do (bishops included). To me, it is a matter of personal integrity and a commitment to discernment of the larger body (our GC). Drew, I’m blessed by your courage and patience in being willing to be a bridge-builder with this stuff. There are self-justified trolls on both sides of this whose “righteousness” has boiled away any semblance of a Christlike heart. Thanks, Morgan. I confess I am not always as patient as I’d like to be. But part of the fun of the Via Media is taking shots from both sides. That means I/we are doing something right. Peace, brother. I don’t know you Chad, as apparently others in this thread do, but reading your posts, yes, I do find you strident. You demand simple yes or no answers to complex questions. And the phrase “practicing homosexuality” shows that you do not accept the idea that sexual orientation is not a choice but a way that people find themselves to be.